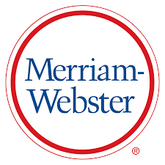 Merriam-Webster Unabridged is the largest, most comprehensive American dictionary currently available in print or online. It is built on the solid foundation of Webster's Third New International Dictionary, Unabridged and is the best source of current information about the English language. We are actively engaged in creating an entirely new edition of the Unabridged, and new and revised entries and usage content will be added to the site on a continuing basis. The April 2016 release of new content features more than 1,400 new words and 700 new senses across a variety of fields, including entries for athleisure, farm share, nomophobia, Bitcoin, and ICYMI. Definitions are enriched with quotations from both spoken and written English, and this release includes more than 1,900 new quotes from the likes of David Leonhardt, Dana Stevens, Anthony Doerr, and Lady Gaga. Merriam-Webster Unabridged includes rich, clear definitions and more usage information than ever before. Definitions have been enhanced with over 123,000 author quotations. Supplementary notes provide additional context, and usage paragraphs offer clear guidance and suggestions for words with confused or disputed usage. Dates of first known use are being added, and editorial style changes are being made throughout the dictionary to make entries more readable and easier to understand. In addition, our Advanced Search includes access to our Citations database — an unsurpassed collection of over a million real-world usage examples that our editors use to track words and their meanings. Dynamic features including a blog, videos, quizzes, Top Ten Lists and word popularity rankings make browsing the dictionary even more enjoyable. Updating the Unabridged Dictionary is an extensive and ongoing project. In time, every entry and definition in the dictionary will be reviewed and edited by our lexicographers, and new definitions will be created as new vocabulary enters the ever-expanding English language. Merriam-Webster’s legendary resource reinvented for today’s audience and featuring updated vocabulary, expanded content, new features, and a fresh, modern design. Discover the New Unabridged today!